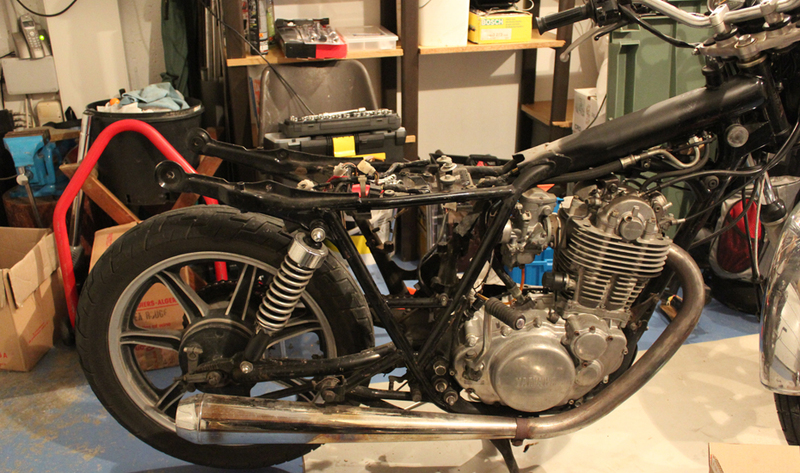 So I start with the fuel tank. 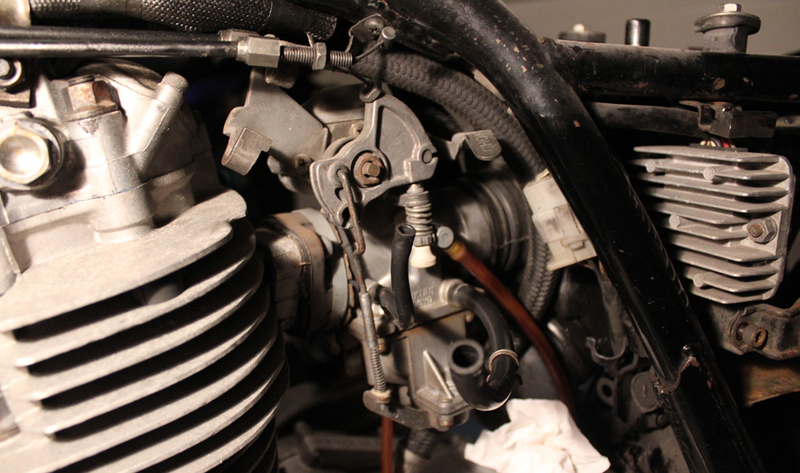 Quite easy, removing two hoses from the carburator and the screw near the seat. 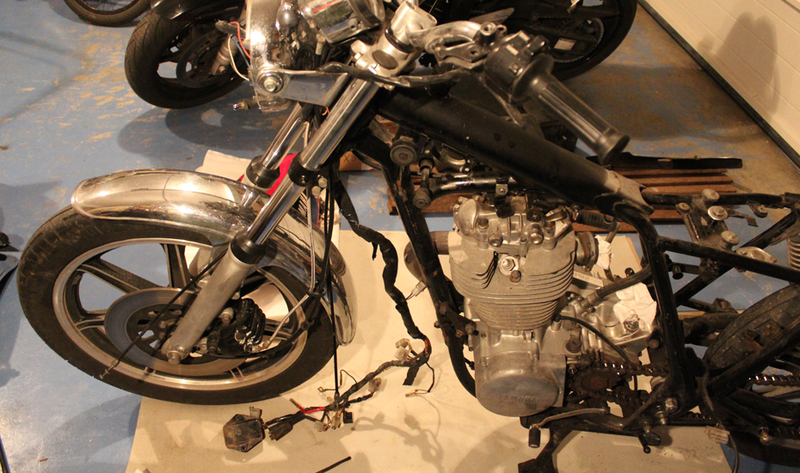 Once the fuel tank is removed, I finally can see the last screw that keep the airbox in! 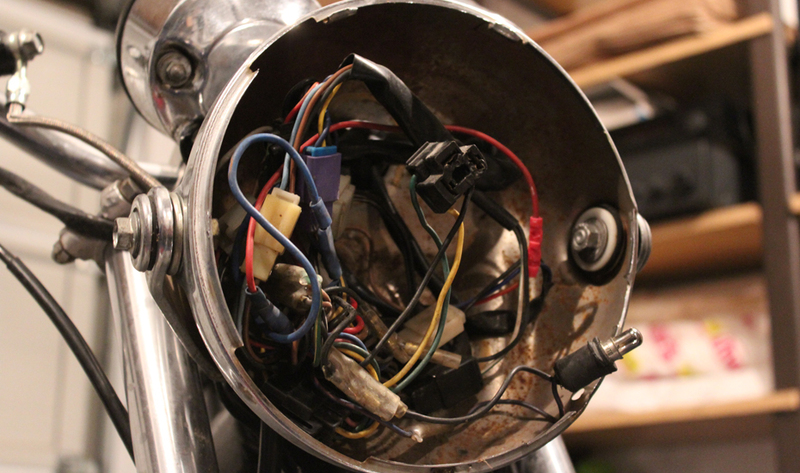 I disconnect the electronic parts, take the battery cage out (really rusty by the way). 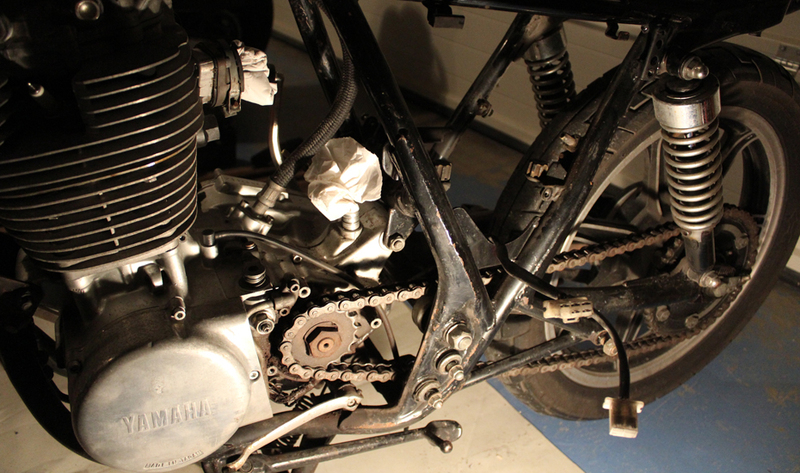 It gives me the space I needed to remove the air box! 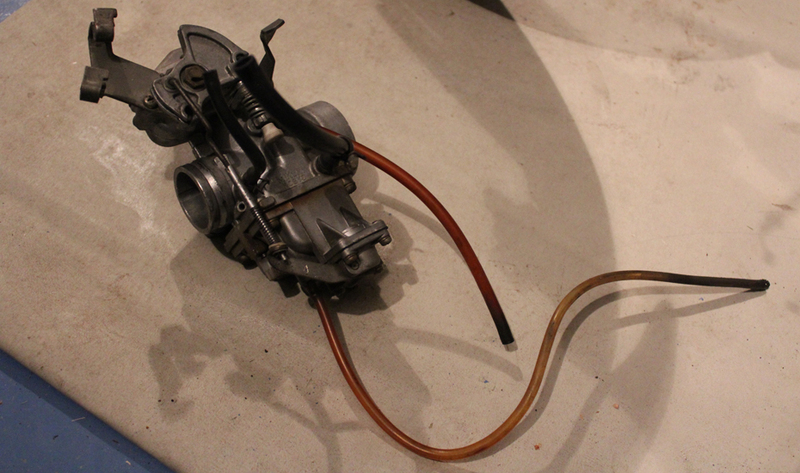 Now that I have a total access, I remove the carburator, just a simple collar. Once I have it in my hand, I forget that there’s fuel inside and of course I get everything on my clothes -_-. Now I go on with the electric beam. Quite easy as well, just need to go step by step. I open the headlight, and it’s kind of scary to me inside! Here are two picts at the end of the day. It went well, the rear is empty and I love it this way! 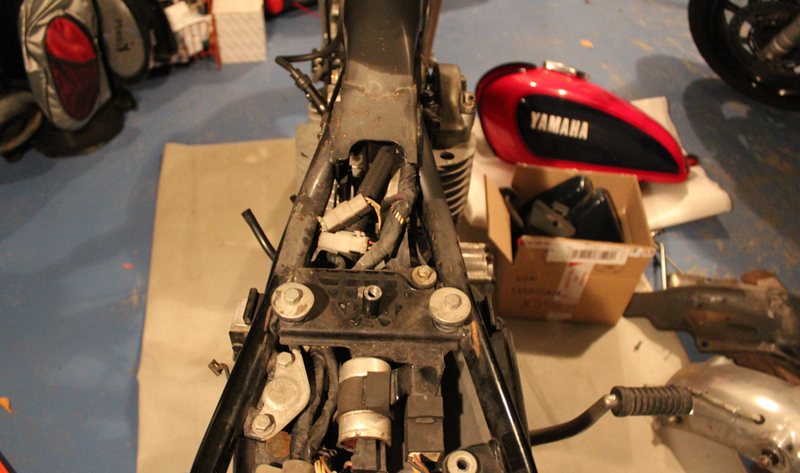 As long as I remove part, I can see how many appendix has the frame! Next step will be next week end. If I keep that rythm, the engine will surely be out in two weeks.